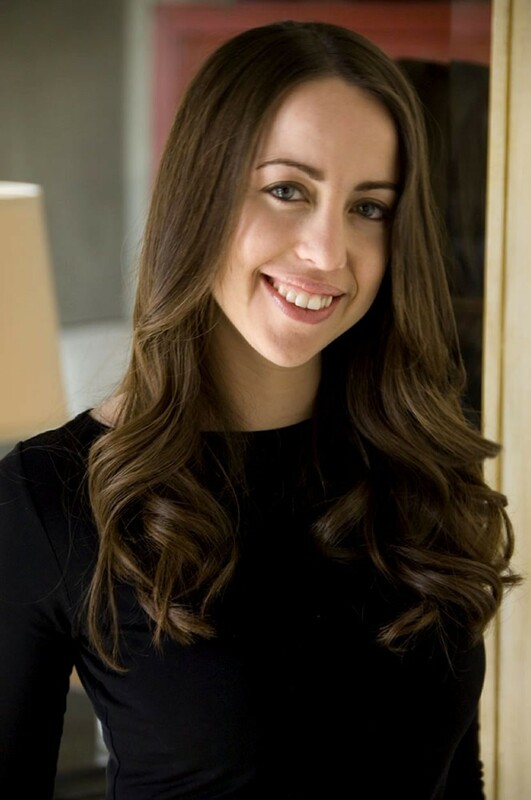 In just a few short years, author Jessica Brody has burst onto the publishing scene and sold five novels including The Fidelity Files and Love Under Cover. Recently, she’s out and about promoting her debut young adult novel called The Karma Club. And her next young adult release, My Life Undecided, is slated for spring 2011. Fans are pretty “decided” when it comes to this fresh, talented author and she’s certainly enjoying some good Karma these days. Jessica now works full time as a writer and producer in Los Angeles. She’s busy writing her next novel and producing her next book trailer, but took some time to chat with SheKnows about Karma, high school drama and more. SheKnows: The Karma Club kicks off with the main character, Maddy, being dumped and it changes her forever. How do you feel high school break-ups effect the outcome of a person’s life? Jessica Brody: Ooh…tough question. High school break-ups are so hard. I definitely had my fair share of them. I think they’re probably harder than any other break-ups at any other time in your life, because everything is so new and fresh and your emotions are so raw at that age. But I do believe that break-ups make you stronger. They teach you how to heal and how to be honest with yourself. If you can survive a break-up in high school, you can survive anything! SheKnows: Instead of moping around, Maddy decides to take matters into her own hands. Is vengeance ever a good option when it comes to an ugly break-up? Jessica Brody: I personally don’t think it’s ever a good option. And my main character learns this the hard way. But sometimes you have to learn things the hard way, otherwise you won’t learn them at all. Consequences are more effective than concepts. If someone had told Maddy at the beginning of the story, “Don’t do it, you’ll screw everything up,” do you think she would have listened? No way! I know I wouldn’t have. And I think that goes for most people. Human beings need to experience things to believe them. When it comes to an ugly break-up, the best thing you can do is move on. Figure out what lessons you’re going to learn from it (because the lessons are always there if you’re open to seeing them) and continue your journey toward bigger and better things. Revenge only keeps you clinging to the past and that never does anyone any good! SheKnows: Maddy’s best friends decide to join her in inflicting harm on others in the name of Karma. Do Angie and Jade choose wisely by backing up their friend in her time of need or should they have talked some sense into her when they saw her heading down a crazy path? Jessica Brody: These are great questions! Well, like I said in the question above, even if they did try to talk some sense in her, she probably wouldn’t have listened. But at the same time, Angie and Jade were harboring some pent-up resentment toward their exes as well. So think, although it was Maddy’s original idea, they’re all to blame for the craziness! And just like Maddy, they learned this lesson the hard way. SheKnows: The Karma Club covers the reality of a high school’s social status, from the painfully unpopular to teenage perfection. Maddy is the braniac, Heather is the prom queen, Spencer is the rich kid, etc. Who were you in high school? Do you think who we are in high school reflects who we will be as adults? Jessica Brody: I was the braniac for sure and a geeky one at that. I certainly wasn’t popular. I kept to myself and studied a lot. I think high school shapes us as adults. It definitely did for me. I can only speak from my own experiences but being “unpopular” in high school is the reason my teen years are still so vivid in my mind now, which I think is also the reason I love writing for teens so much because it’s like therapy for me. I feel as though there are so many unresolved issues from my teenage years still lingering somewhere inside me and writing these novels allows me to deal with them without actually having to be a teen again. Being unpopular also gave me a lot of opportunities to observe people. I was always on the outside looking in. And being observant of human nature is something that comes in handy when you’re writing characters. 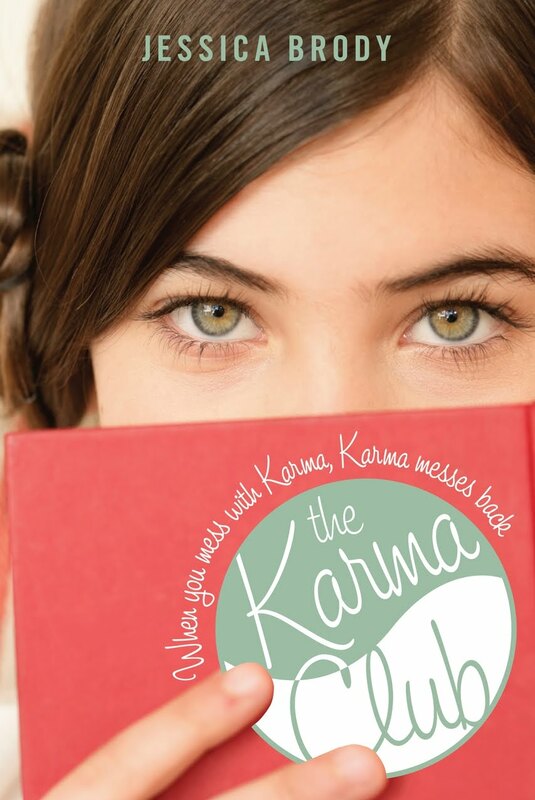 SheKnows: This book’s main focus is based on what goes around, comes around — Karma! Do you believe a balancing force exists that ensures bad deeds get punished and good deeds get rewarded? Jessica Brody: I do actually. But I believe that balancing force is you. I’m a huge believer in the law of attraction. What you put out into the universe, you get back. So if you’re putting out negative energy, negative energy will come back to you. If you put out positive energy, you will attract positive things. This is essentially the definition of Karma. SheKnows: Has there ever been a time in your life when you have seen Karma, essentially, do its job? One day as I was leaving the mall with a friend, we got on the elevator in the parking garage and pressed the button for the floor we parked on. There was a woman already on the elevator who looked rather annoyed and impatient. Until this day, I’ll never know why. Maybe she was having a bad day. For whatever reason the button we were pushing wouldn’t illuminate. So I kept pushing it, trying to get it to work until finally the woman turned to me and yelled, “Will you stop pushing all the buttons already!” I was so floored and shocked that she would just attack me like that, I fell quiet and kept my head down, mumbling some sort of apology. The elevator dinged and she got off on the next floor. But as soon as she stepped out, she immediately tripped over the curb and nearly fell flat on her face. I had to try really hard not to laugh. It was totally Karma in action! SheKnows: Although the girls appear to succeed in advancing Karma along, Maddy begins to discover the vicious nature of revenge. Why do you think retaliation usually turns into self-destruction? Jessica Brody: Probably for the same reasons I mentioned above. What you put out gets attracted back to you. Retaliation and revenge are both very negative emotions and if you’re focusing on the negative side of things, more negativity will only come back to you. If you focus on the positive sides of things (ie moving on, improving your life, hanging out with people you love, being grateful for what you have), you’ll attract more of these great things! SheKnows: In the midst of all the drama, Maddy begins to realize that what she thought she knew about many people in her school wasn’t at all the case. What’s the best way to avoid falling victim to the rumor mill? Jessica Brody: The best way not to fall victim to the rumor mill is not to participate in it. Gossip can be a very dangerous thing. It’s addictive and unhealthy. No matter where you live, what school you go to, people will say things that are untrue. This is only natural. The best thing you can do is maintain your own integrity and keep your gossip record clean. By refusing to participate in the rumor mill, you actually end up rising above it. And once that happens, you’ll be surprised how things like gossip don’t bother you as much anymore. SheKnows: Is there anything in particular you do to try and speed up Karma? For good or for bad? Jessica Brody: I try not to meddle in the bad side of Karma. I guess I learned my lesson about that one from Maddy! But I do a lot of things to try to improve my good Karma, small daily things like opening the door for people, being polite and courteous and friendly to strangers, being charitable to the homeless, etc. On a bigger scale, I launched a website, TheKarmaClub.org, that’s dedicated to helping teens find ways to spread good Karma. People can visit the site and get ideas on daily things they can do to spread good Karma in the world. I hope this will help improve more people’s Karma on a global level. SheKnows: Maddy starts off with a certain expectation of how her future is going to turn out, but ends up [happily] in an entirely different place. How do you suggest young women become comfortable with the idea of change instead of fearing it? Jessica Brody: Change is inevitable. It’s the only thing that’s constant. A leaf can’t fight a moving stream. It can only trust that the stream will take it where it needs to go. I’m a big believer that things happen for a reason. Change is there to help you get to where you need to go. You can resist it or you can embrace it, either way it’s going to happen. So why not embrace it and save yourself the agony of the fight? My advice on how to do that: Think of all the times change has improved your life and hold on to that thought as you trust what the universe has in store for you next. For more on author Jessica Brody and her books, visit www.jessicabrody.com. You can also follow Jessica on Twitter and check out the Jessica Brody YouTube channel.